Robot vacuums are more capable and affordable than ever. Connect to clean from anywhere with the iRobot Roomba 671 vacuum. The patented 3-Stage Cleaning System is specially engineered to loosen, lift, and suction everything from small particles to large debris from carpets and hard floors. Hands-Free All the Way! 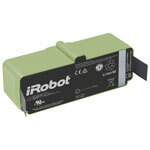 Its software is the other element responsible for the Roomba 671’s precision movements. Multiple sensors tell the robot to avoid fall risks and collisions. In fact, the robot vacuum makes decisions at a rate of one per second. The robot also has an anti-tangle system that halts the brush-rolls’ rotations to prevent them from getting caught on carpet fringes and blind cords. Maintaining the 671 doesn’t take a ton of time or effort. Spend just 5 minutes each week to clean off lint and dust from the brushes. The filter lasts 2 months and pops in and out with ease. From carpets to bare floors, do less and get more with the iRobot Roomba 671. Clean and schedule from anywhere with the iRobot HOME App | Compatible with Amazon Alexa and Google Assistant | Intelligent sensors guide the robot under and around furniture to help thoroughly clean your floors | Automatically adapts its height to effectively clean carpets and hard floors.